It is an ordorless, one part adhesive sealant suitable for all kind of industrial applications even in an adverse conditions. 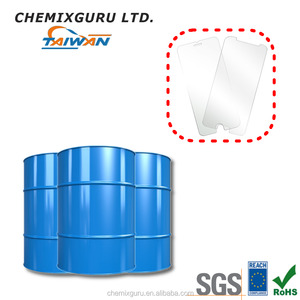 It has a high bond strength and primerless adhesion on many types of substrates or moist surfaces. It has a wide temperature range and will not form bubble within sealant even in a high humidity condition. Anhui Surmount New Materials Co., Ltd.
Weifang Meizhitai Building Materials Co., Ltd. 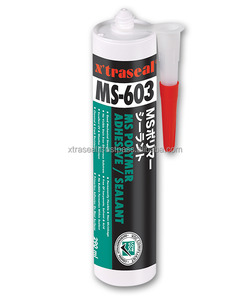 It combines the advantages of both polyurethane and silicone, and thus is a new generation adhesive sealant. It is applied for adhesion and sealing with high elasticity and strength. Install with hand or power operated gun and extrude the sealant into the joint. Main features 1. 25 low modulus, excellent mechanical properties, good thixotropy, no sagging, good elasticity, tear resistance. 3. Excellent anti-bacterial effect of anti-mildew. Aofeng PU foam sealants and silicone adhesives are widely used in construction, decoration also many other industries, such as hollow glass production. 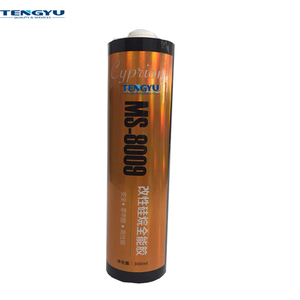 Super Bond Adhesive MS Polymer Sealant. HOW TO USE Substrate preparation All surfaces should be cleaned and degreased with a suitable solvent prior to potting. Mixing &bull;BESIL 8130 is supplied in lot matched kits consisting of Part A and Part B in separate containers. Curing BESIL 8130 should be cured using one of the following recommended schedules: 3 hours at 23&deg;C cured the surface. Bonding and sealing of most interior and exterior decoration projects. 3. E lastic bonding and joint sealing for metal, wood and plastic. 4. Bonding and sealing of the painted surfaces, may cause seal failure as the paint cracking or stripping . s] @[&#8451;] Functionality approx. s] @[&#8451;] Functionality approx. s] @[&#8451;] Functionality approx. Alibaba.com offers 1,927 polymer adhesive sealant products. About 85% of these are adhesives & sealants. A wide variety of polymer adhesive sealant options are available to you, such as free samples, paid samples. There are 1,832 polymer adhesive sealant suppliers, mainly located in Asia. The top supplying countries are China (Mainland), Japan, and Malaysia, which supply 96%, 1%, and 1% of polymer adhesive sealant respectively. Polymer adhesive sealant products are most popular in Domestic Market, Southeast Asia, and Mid East. You can ensure product safety by selecting from certified suppliers, including 857 with Other, 736 with ISO9001, and 338 with ISO14001 certification.